The next step in my painted cottage furniture project is to continue glazing thin layers of acrylic paint. Glazing is painting thin translucent layers of paint to build up depth in a painting. It can be done using oil, acrylic and watercolor paint. With acrylic paint it can be thinned with water or a glazing medium. This decorative corner table has a crackled white finish and would look great in a beach cottage. I am adding more and more detail to the seascape painting as I paint each layer. Check back to see the finished painted cottage table. 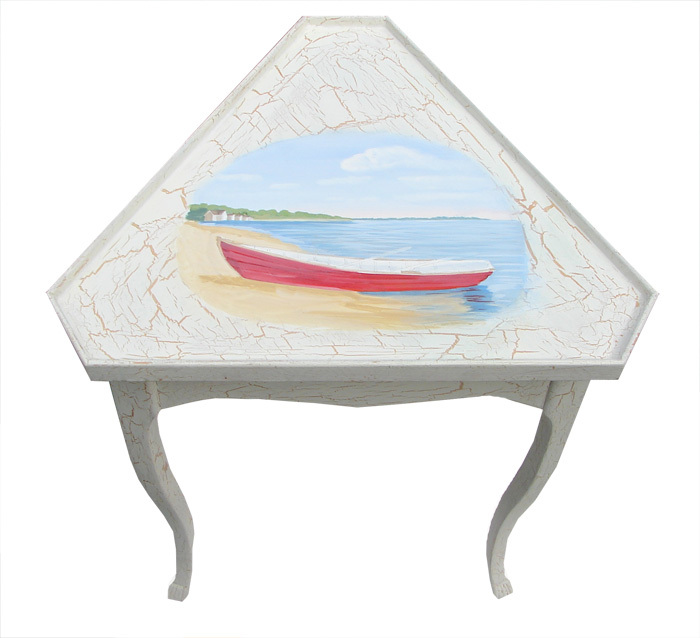 New Gallery Artisans Harbor, Old Saybrook, CT offering paintings and decorative furniture.